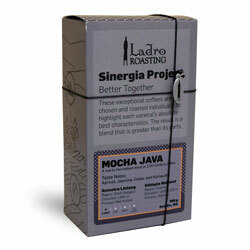 Sinergia is back and this time we're paying tribute to Mocha Java, the blend that started it all. 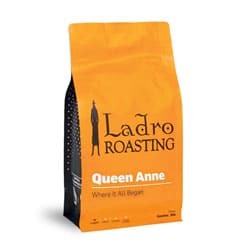 This blend swept across Europe in the 1600s finding its way into the coffee houses of England, Austria, France, Germany, and Holland. Those who drank it found themselves alert and energized, a stark difference from their typical morning drink of beer or wine. 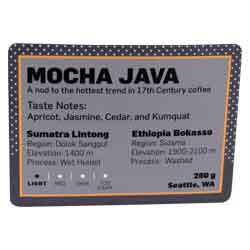 We've put a twist on the original recipe, using an Ethiopian coffee and a Sumatran coffee to highlight the best that East Africa and Indonesia have to offer. 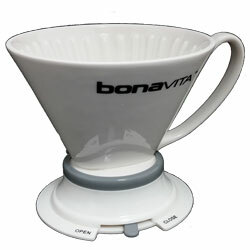 Brewing Method: We recommend Pour Over, Chemex, or AeroPress for best brewing results. From Anonymous of Ann Arbor, Michigan on 12/24/2018 . I find I only cold brew lately so I can't comment on any hot brew flavors but I really like this as a cold brew. It's very smooth, and tasty. I quite enjoy this coffee. From Bill in Kenmore of Kenmore, Washington on 12/14/2018 . 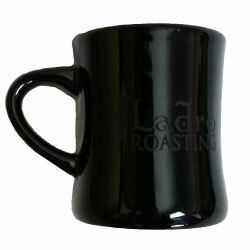 I brew light-roasts at home as espresso in my De'Longhi EC220CD Pump Espresso Maker. 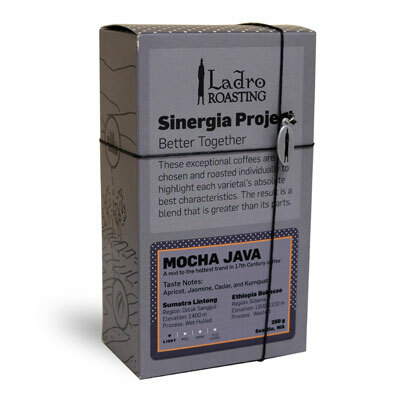 For my taste, this MJ is a superbly sourced, blended and roasted coffee of a uniquely pleasing taste, front-to-back. Since for me its $25.45 cost-per-pound approaches borderline extravagant, the question was: could it clear the correspondingly high value-for-money bar? 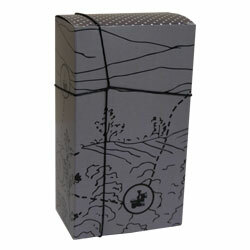 It did, just, to the point that after the initial purchase, I have ordered many more as Xmas gifts for my best friends.